I was wracking my brains trying to come up with a connective piece of wisdom between the New York Yankees’ collapse in this year’s American League Divisional Series and real estate. There are probably many more vacuous and un-original sentiments to be gleaned from baseball but I don’t want to clutter my mind with any more. 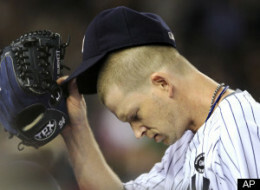 The reason this Yankee loss resonates with me is that I’ve been their fan since I was 10. I’m always saddened when their season ends, be it in the first round of the playoffs, as in the last two years, or at the end of the World Series because, for me, it’s the end of baseball until next spring. There’s no particular joy in watching teams play that I don’t care about if the Yanks are gone and there’s no more baseball with winter approaching even if they win the Series. The days are shorter, colder, less forgiving and won’t be amiable and gentle again until the next crack of the bat at Yankee Stadium in April. I think I have a clue of a connection between the 2011 Yankees and the real estate market in general. By all accounts, the team ultimately failed because they ignored or didn’t try to correct some glaring weaknesses in pitching and their lineup. These are pretty fundamental deficiencies. We real estate practitioners are enduring a market on its knees and I think that a lot of us are just marking time, waiting for buyers to come flooding back and prices to rebound to past levels. We’re ignoring the fact that neither will probably happen. Our past expectations of market conditions are, most likely, gone forever as are the type of buyer and seller we became accustomed to. 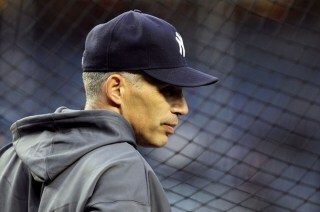 So, like the Yankees, we need to deal, head on, with the glaring deficiencies in our thinking. Neither the Bronx Bombers nor real estate agents can rely on a storied and successful past. The percentage of home ownership has dropped, nationwide, from 66% to 65%, the largest 10 year drop since the Great Depression. Even the Obama Administration has opined that home ownership is not as important as it once was and renting is the way of the future. This is a seismic shift in government position. Washington has always been a home ownership cheerleader, encouraging us all to take our destiny in our own hands through the autonomy of ownership. Well, not any more. And I think a lot of people are heeding this message which is why the rental market is so hot and the residential and multi family markets are so flat. Paradigm shift is the best way to view this, in my opinion. 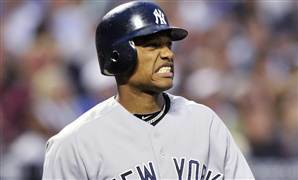 To illustrate this, for example, the Yankees have always relied on slugging veterans to win. 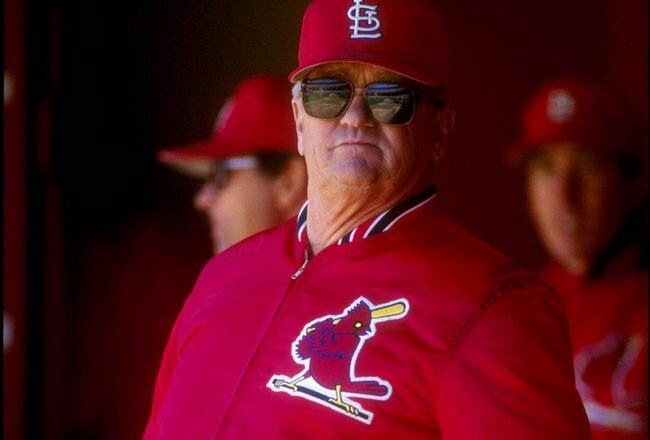 By contrast, in the 80’s, Manager Whitey Herzog introduced the concept of “small ball” to the St. Louis Cardinals, another slugging club with shifting fortunes. Also called “Whiteyball”, this paradigm change from home run slugging to small hits, speed, stolen bases, bunts, pinpoint pitching, defense and smart base running, manufactured enough runs and victories to propel that team forward. They shifted their thinking to acknowledge certain realities and succeeded. Maybe the Yankees should try a paradigm shift, rely more on youth, speed, reliable pitching, and find another bunting coach as good as Phil “Scooter” Rizzuto who taught their players a thing or two before he died. It appears to me they need to fundamentally re-examine their approach to the game. Their starting pitching was cobbled together and, ultimately, unreliable but the team put the best face on it all season. They had the highest number of home runs this past season but a miserable percentage of productivity with runners in scoring position, especially in the playoffs. The big producers in the middle of their batting order had a puny average during the playoffs, underscoring the futility in relying on a few big hitters to carry the team. In fact, the bottom of their lineup was much more productive. It always takes time for humans to react in any productive way to a paradigm shift. Our situations shift under our feet and it’s a while before we realize the world has changed. Then there’s usually some lag time while we comfort ourselves by denying that anything is different. By the time we are ready to act it’s often late in the game, the fans are headed for the exits, the pitcher is throwing high and tight to our heads, the umpires are ringin’ us up and we’re slinking back to the dugout. I see real estate offices closing or consolidating into smaller quarters, brands disappearing, agents leaving the business. The membership of the National Association of Realtors has dwindled from its highest point a few years ago. The pitcher threw “bean balls” at these folks and they didn’t think to duck. We REALTORS need to learn to play our version of “small ball”, a new way of practicing real estate which includes skills attuned to our new reality, just like big-leaguers need to learn how to bunt and steal bases. We need to acknowledge that buyers have changed, gotten younger, become more tech and information savvy and are certainly more demanding. We can’t rely on the same old scripts. It’s always been unbelievable to me that the profession pushes “scripts” or pre-written responses to objections, etc. Whatever happened to honestly listening and answering our clients’ concerns from the depth of our knowledge and experience? The “back to basics” approach that covers most real estate training must shift from pre-recorded palaver to genuine leadership. We must acknowledge that buyers are insecure as well as informed, sellers are VERY insecure and angry and we all need to be better informed, faster on our feet and – dare I say it? – charismatic. More than ever before, we need to be our customers’ “muse”, a wise man (or woman) that they can rely on and learn from. The old methods of customer relations where clients are merely handled will only set up adversarial relationships. 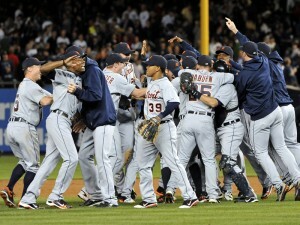 We need to inspire and lead and beat the catcher’s throw to second as we steal the bag. Back to the drawing board, Joe? If this all seems pretty obvious, I’m sure you won’t be surprised to know that some real estate agents are clueless to all of the above. They are hard-working, honest, diligent – and dull. They couldn’t inspire a leaf to fall from a tree. I don’t want to come across as superior but I hope I can muster a better attitude than that. We in the business all need to aspire to an appreciation of another paradigm where our cleats are clean, we have a big lead off of first and we’re catching the ball with the bat (that’s a bunt, for the rest of you). Otherwise, the end of the season will be fast approaching and the days will become shorter and shorter and colder.